Ray Martinez aka “Ray Mar” has had a professional business relationship with Alan Cabasso of Floyd Rose Audio for over 20 years. It is no wonder that these two men have also become close personal friends, considering they grew up in the same neighborhood of Brooklyn, New York. Ray Mar, who celebrates his 45th year as a professional Mobile DJ, has written many articles reviewing products, many of which Alan had during his days with Gemini Sound. When Alan moved on to Floyd Rose Audio, Ray Mar reviewed his fine line of headphones. 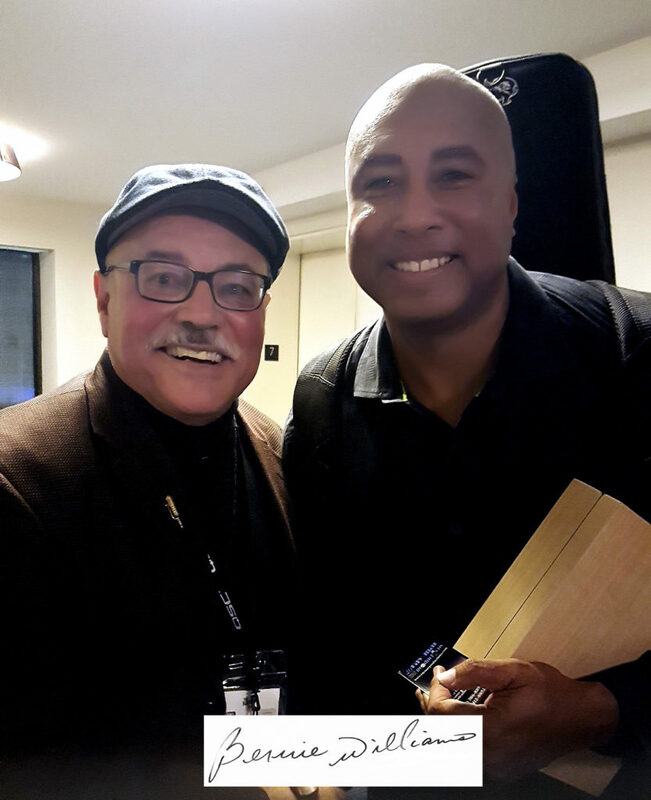 Alan, a devoted New York Yankees fan, was at the NAMM show (National Association of Music Merchants) in Anaheim, California and had the chance to meet Yankees great Bernie Williams a few years ago. Alan took a picture with Bernie Williams and asked Ray Mar if he could get Williams to sign the photo for him. Ray Maritnez with Alan Cabasso of Floyd Rose Audio. 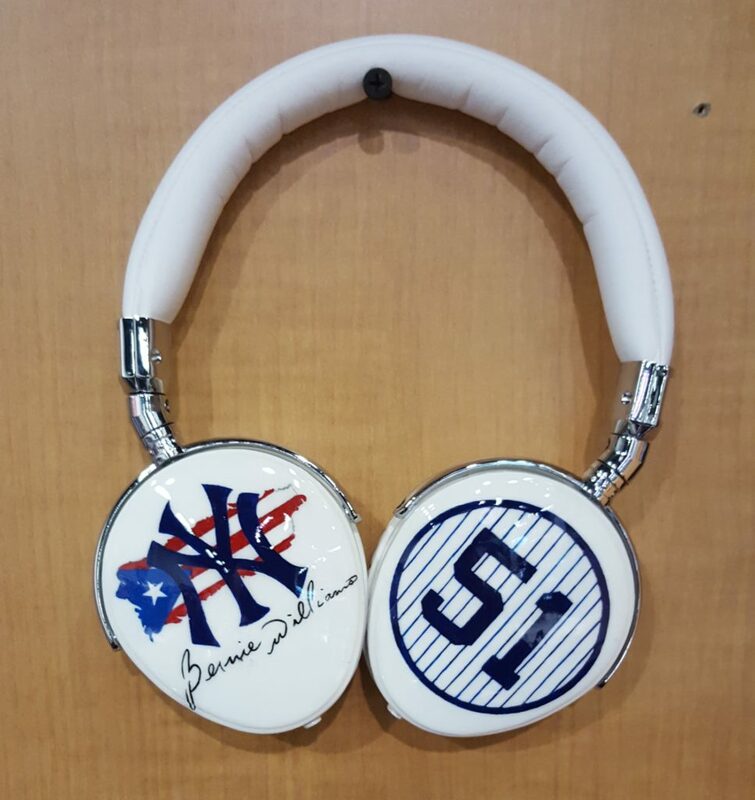 When they were talking about the photo, Alan had an epiphany and said to Ray Mar, “If only we could design a set of headphones especially for Bernie Williams, how cool would that be?” Ray Mar immediately took on the task to personally design the headphones. Bernie, whose number 51 was retired by the Yankees, was the starting point. Ray Mar knew he had to include the NY Yankees logo and tie it in with Bernie’s rich Puerto Rican heritage. Ray Mar then got a map of Puerto Rico with the Puerto Rican flag completed with Bernie’s autograph. Custom made Floyd Rose Audio Headphones for former New York Yankees player Bernie Williams and designed by Ray Martinez. At the 2019 NAMM Show, Ray Mar met Bernie before his scheduled appearance on stage as a smooth jazz artist and told him he had a special gift presentation for him after the show. Bernie agreed to meet with Alan and Ray Mar and they presented the customized headphones to the future Baseball Hall of Famer. When Bernie received the headphones, his reaction was like a kid in a candy store on Christmas Day. It was priceless. He absolutely loved the headphones and was very appreciative. If you are looking for a pair of quality headphones that is priced affordably, contact Alan Cabasso at Floyd Rose Audio Headphones: ajcab101@gmail.com or call (732) 642-3320. 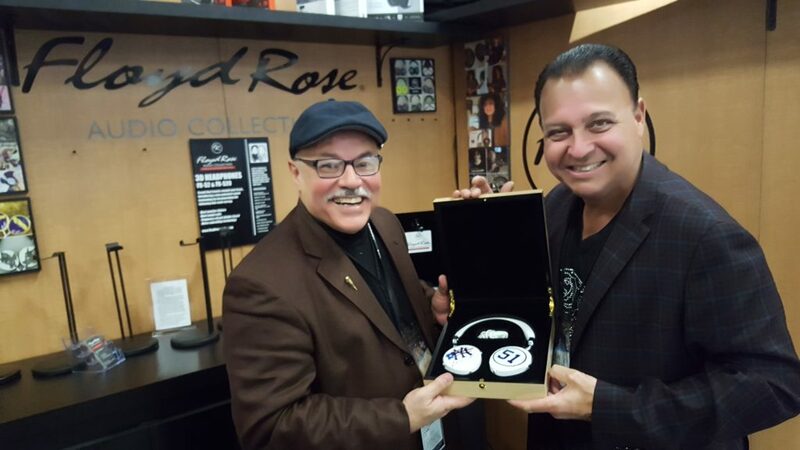 Bernie Williams receives custom Floyd Rose Audio Headphones from Alan Cabasso of Floyd Rose Audio. 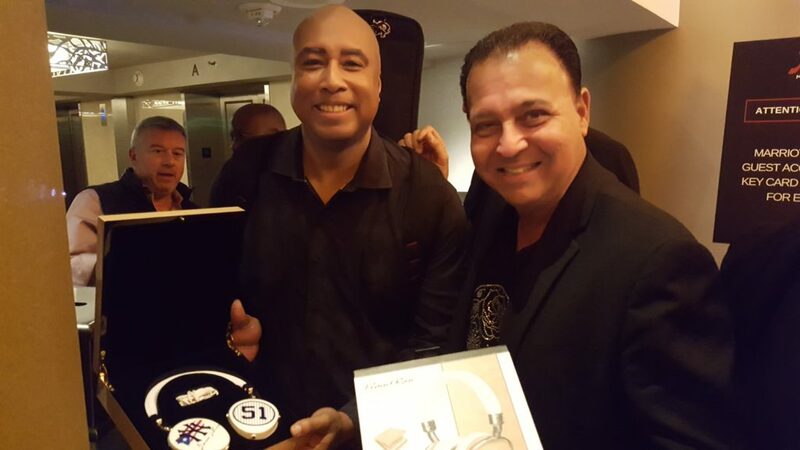 Ray Mar and Bernie Williams beaming together after gifting Bernie the Custom Floyd Rose Audio Headphones.